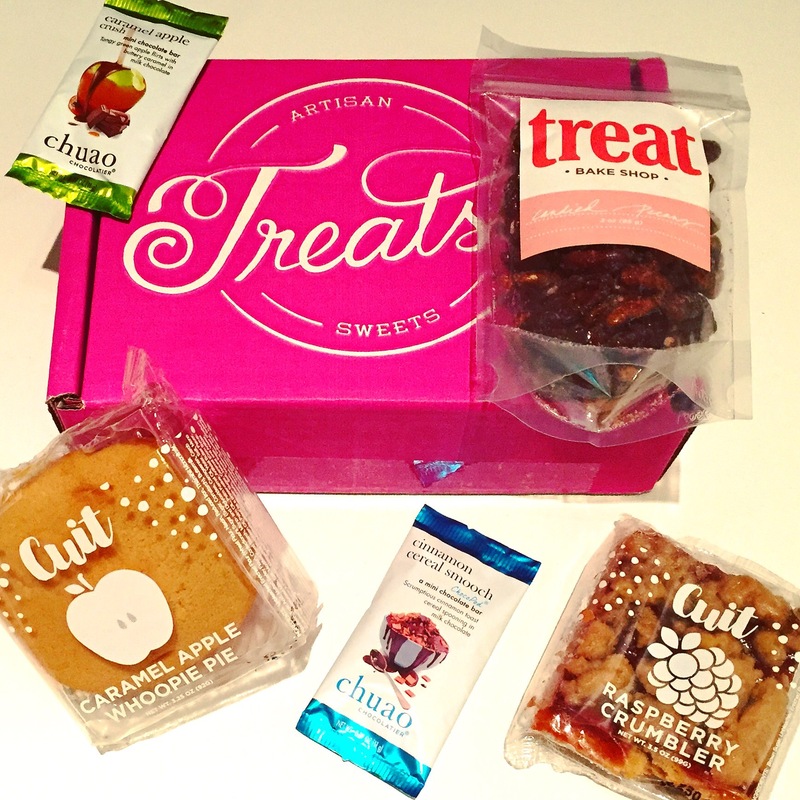 Mmm Treatsie is the perfect box for the friend with a sweet tooth – like me! Hint hint 😉 they send you a box full of sweet treats each month, mostly homemade artisan treats too! Each month you’ll be introduced to at least 3 new companies with their yummy treats. Picky eater? You get to customize your taste profile to let them know! Dark chocolate fan? Coffee hater? No worries! This month we have Chuao and their many flavored chocolate bars, mmm Caramel Apple and Cinnamon Cereal, both delicious but would love a larger sample! We also have TREAT bake shop with their Candied Pecans. I absolutely love pecans and put them in all my baking, the candied ones I usually crush and put in my salad mmmm yum! Cuit, these products are ready to be devoured asap! They added a Caramel Apple Whoopie Pie and a Raspberry Crumbler which I loved, it was so soft and yummy, I just wish there was more! Overall this was a good first box.